We’d love your help. Let us know what’s wrong with this preview of The Sapphire Legend by E.L. Tenenbaum. It’s been months since the destruction of Sapere’s village forced the survivors to flee into the Wild, where her secret was discovered and her Council struggles to keep the remains of her tribe alive. Surviving the attack, the flood, the Wild itself is proof that they have grown stronger as a people. Even in their new campsite they feel safe and comfortable... too comforta It’s been months since the destruction of Sapere’s village forced the survivors to flee into the Wild, where her secret was discovered and her Council struggles to keep the remains of her tribe alive. Surviving the attack, the flood, the Wild itself is proof that they have grown stronger as a people. Even in their new campsite they feel safe and comfortable... too comfortable. Certain they must find the last of the Oro tribes and warn them about the impending Pliz danger before it's too late, Sapere and Venatore take to scouring the Wild for the Great Blue Waters. 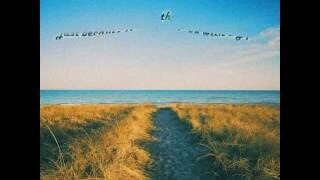 Finding them, however, may not be the end of their trials, but only the beginning. For Sapere, this means facing antagonism toward her gift and her position on Council, an unprecedented break from tradition that their sister tribe won't accept. For the rest of the tribe, this means adjusting to a new way of life with values and traditions very different from their current, and even former, one. 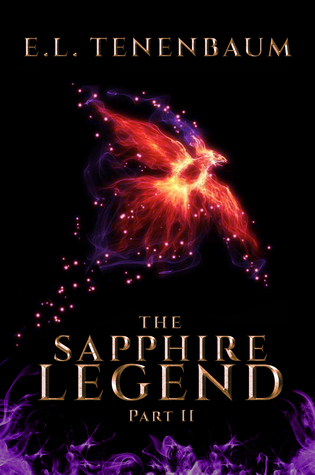 To ask other readers questions about The Sapphire Legend, please sign up. After reading the first one, I couldn't wait to read the second book. Part II picks up where the first one left off and Sapere and the other council members search for the other tribe by the waters. Once they find them, they lead the remainder of their tribe to the hopeful safety of their sister tribe. They are greeted, but not with open arms as hoped. Things are much different in the hierarchy of this tribe and they all do their best to help out and blend in. Sapere is not comfortable in the ne After reading the first one, I couldn't wait to read the second book. Part II picks up where the first one left off and Sapere and the other council members search for the other tribe by the waters. Once they find them, they lead the remainder of their tribe to the hopeful safety of their sister tribe. They are greeted, but not with open arms as hoped. Things are much different in the hierarchy of this tribe and they all do their best to help out and blend in. Sapere is not comfortable in the new tribe and does not appreciate the way they treat her, because she is a woman. Sapere wishes to go home and re-build their tribe, but first, they must fend off those who destroyed their village and help protect their sister tribe. This book is fast paced with excellent characters. The author has done a fantastic job with story development and delivery and with designing the characters. There is love, romance, betrayal, pain, suffering, and many other emotions delivered expertly in this second installment. Sapere and the surviving villagers of her tribe have been in the Wild for months, and many of them have adjusted to life there. When Sapere and Venatore find the fifth tribe, they have an obligation to warn them of an impending attack by the Pliz. Their sister tribe also has an obligation to offer asylum Review originally posted on Rach Lawrence Books. Sapere and the surviving villagers of her tribe have been in the Wild for months, and many of them have adjusted to life there. When Sapere and Venatore find the fifth tribe, they have an obligation to warn them of an impending attack by the Pliz. Their sister tribe also has an obligation to offer asylum to the survivors. But life in the tribe by The Great Waters is vastly different than what Sapere is used to. Her tribe was just beginning to accept her differences—that she was given her family’s gifts, which are only passed down to males—and her place on council. Now she has to prove herself all over again, and she has to do it while her instincts are telling her they are woefully unprepared for an attack by the Pliz. The Sapphire Legend: Part II is a young adult fantasy about a young woman who has to prove her worth to the rest of her people while discovering her value for herself. Because of the gifts she was born with, Sapere had to fight for her place among her people in part one. Even after all she did to save her tribe, she is once again an outsider who has to gain respect among the new tribe. The story drew me in immediately, picking up right where part one left off, with Sapere and Venatore discovering the fifth tribe. They needed to develop allies in order to convince the rest of council to journey to the other tribe by The Great Waters, but once they arrived their quest had only begun. While some settled easily into life with the fifth tribe, others, like Sapere, weren’t comfortable with the differences in the way they lived. These differences made it even more difficult for Sapere to be accepted among council. The author’s description of Sapere’s gifts was exquisitely written, making me feel like I was picking through sounds and feeling the heartbeat of the earth right along with Sapere. I enjoyed watching how she struggled to grow her gifts and teach others, as well as her indecision when she needed to use them with less-than-honorable intentions. Sapere’s growth was not limited to her own self-worth. Throughout the story, her relationship with her older sister Onyx also grew and changed. Where Sapere once looked up to Onyx, their roles were suddenly reversed and she came to realize she now had Onyx’s admiration. Once Sapere settled her own personal battle with the Pliz’s attack, she was also able to move on and accept Reo’s feelings for her. The romance in this story was secondary to the main character growth but a well-rounded addition. The entire story contained a general feeling that something was going to go wrong, that something wasn’t right with the new tribe. There was good buildup to the battle, and good timing of Sapere’s recognition of Reo’s love. Everything she tried so hard to keep hidden is discovered as her tribe face a ba I was blown away by the first book in this series and was delighted to have the opportunity to read this the second instalment. The reader escapes to another world constructed by E L Tenebaum’s imagination. I enjoyed the first book and was happy to read the second. In this story I joined Sapere’s tribe as they realised they had to move to greater safety than the Wild afforded them. They sense an impending attack by the Pliz and begin the daunting journey to find a safer place. They discover the Great Blue Waters and this is like a miracle, as they have never seen water like this before. When they leave the Wild, a like-minded village takes her tribe in and hosts them. There is never any talk of assimilation and over time, Sapere discovers cultural differences that shock her. She has always known an egalitarian society rather than one that has layers of hierarchy. The author uses foreshadowing to great effect. This foreshadowing of a pending disaster aroused my curiosity and made me want to keep reading, like entering a voyage of discovery and I was sharing the journey with all the wonderful character, E L Tenebaum has created. This is a story about a young girl’s evolution as she accepts her special gifts, breaks with convention and assumes or rather accepts a leadership role in a world dominated by men. She is thoughtful, courageous and grows in wisdom as she learns how to use her gifts to help those around her confront a pending attack. Her friends become her allies and her enemy’s learn to respect her. Sapere’s hawkling travels with her and Tenebaum describes the beauty of this bird as it flies to warn Sapere of danger. The hawkling signals a change. It ferociously protects Sapere and she feels safe whenever it is near. In a sense the hawkling’s arrival, although welcomed, also signals a change in Sapere’s circumstances. The story ducks and dives like Sapere’s hawkling and we follow its fluid movements as the group shift their thinking from underground fortifications to conquering their enemy from the sky. If you enjoy fantasy then this is a great novel to read. The themes are universal but the setting is purely the writer’s imaginative creation. First, let me say this isn't a book you should pick up without having read the first in this series - it's a must to understand what's happening as this one begins where the other ends. Sapere overcame many hurdles and held her own in the first book, but again feels like she's starting from square one and needs to prove herself equal to others when the remainder of her tribe is taken in by a new village. I liked her stance on how people with special gifts shouldn't be treated differently than oth First, let me say this isn't a book you should pick up without having read the first in this series - it's a must to understand what's happening as this one begins where the other ends. Sapere overcame many hurdles and held her own in the first book, but again feels like she's starting from square one and needs to prove herself equal to others when the remainder of her tribe is taken in by a new village. I liked her stance on how people with special gifts shouldn't be treated differently than others without gifts - she's more of an egalitarian kind of girl. While Sapere may be a talented hunter and fighter and possess excellent survival skills, she's clueless when it comes to men. I thought Reo was going to have to knock her over the head and take a more direct approach before she figured out his feelings for her. I have to admit I was a little disappointed near the end. I'd been looking forward to an epic battle with the Pliz, especially in light of Sapere's idea on how to defeat them, but the scant details are only mentioned in the aftermath. This is a worthy followup to the first book and many characters find their happily ever after - but not without some challenges. I'm not sure if the author has another book planned for this series, but I'd be interested in seeing what happens in their future. Sapere’s tribe has finally settled into their new semi-stable home in the Wild when Sapere and Venatore find the Great Blue Waters and evidence of their sister tribe. They must warn the other tribe of the danger of the Pliz and maybe, just maybe, they will be offered refuge and a safe place to regrow their tribe. But after all the upheaval and strife they’ve been through, will the tribe follo “If you don’t go now, then you never had a right to sit with them to begin with,” (Kindle Location 1451). Sapere was strong and even when she doubted herself, she was able to step up and take her rightful place. The scene where Sapere wasn’t sure she should sit with the men with the new tribe, even though she’s earned it was such an amazing moment. Yes for women everywhere! This world in the Sapphire Legend may not be perfect, but seeing what characters do when presented with tragedy and the chance to be better people is what keeps me reading. This is a book and this is a series that will teach you something and leave you as a better person for having read it. A fantasy for everyone. Wonderful! This is a series that I am very glad to have had read. The second (and final, I believe) installment brought everything to a nice and tidy conclusion, with plenty of adventure to fill out their legend beautifully, while leaving what happens later up to your own imagination! If anyone is looking for a gift for me some reason, I wouldn't mind having this in signed, physical form, hint hint ;) I fully intend to read this set more than just this one time, and I don't often do that! I really enjoyed continuing the story of Sapere and her friends. I find the gifts the characters have fascinating, and their tribal way of life continually draws me into the story. In the second book, relationship deepen and strengthen and Sapere's skills develop as she meets more gifted individuals amongst their sister tribe, the Oro. However, while everyone seems happy to integrate, Sapere is certain all is not as it seems. Plus there is the ever present threat of the Pliz hanging over them. My I really enjoyed continuing the story of Sapere and her friends. I find the gifts the characters have fascinating, and their tribal way of life continually draws me into the story. In the second book, relationship deepen and strengthen and Sapere's skills develop as she meets more gifted individuals amongst their sister tribe, the Oro. However, while everyone seems happy to integrate, Sapere is certain all is not as it seems. Plus there is the ever present threat of the Pliz hanging over them. I only have two small issues; the reflections of what had happened in book one were a little overdone for me (although they did remind me of scenes I'd really enjoyed and forgotten), also the climatic event could have carried on longer. There were moments of happiness and sadness, and at times I felt emotional reading this book (not the easiest thing to hide on a plane full of people!). I was so sad when I finished reading and realised it was only a duology. I really hope more instalments will follow, as I'd love to catch up with Sapere and her growing group of friends and see what the future holds for them.